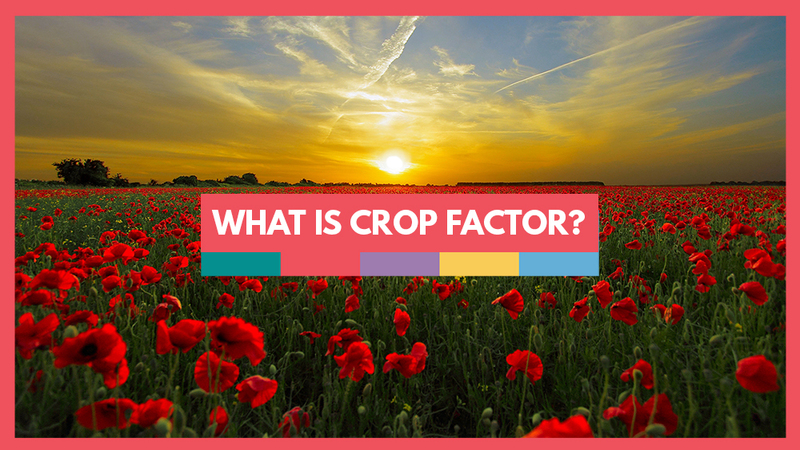 You may have come across the term ‘crop factor’ before, but not been too sure what it means, or even why it’s important. In this article, I’ll attempt to explain the differences that full-frame or crop sensors make to your images. If you’re looking to buy a new camera, the crop factor matters, because it will affect how your images look. So, before you go and splash a lot of cash on a new camera, it will serve you well to learn a little bit about the different types of sensors out there. Before digital sensors were invented, 35mm film cameras were a benchmark because of their popularity and market appeal. If you used a fixed lens on a SLR film camera, such as a 50mm, you knew exactly how your image would look in the field of view and the final image. This made understanding different lenses and focal lengths easy, because there were no cropped digital sensors to muddy the waters. What you saw was what you got, even if you used the same lens on different 35mm cameras – it was standardized. With the invention of digital cameras, things changed. Manufacturers of the new DSLR’s discovered that making digital sensor sizes that matched 35mm film just wasn’t practical due to costs and technology challenges. This meant that they started producing DSLR’s with smaller sensors. In order for customers who had already bought an SLR film camera system to be able to simply replace the film camera bodies with digital ones, but keep the same lenses they had invested in, meant keeping the same mounts and lenses as the film camera bodies. However, the former 35mm film SLR customers using the same lenses on a crop sensor digital camera quickly found out that there were problems with this. The field of view was smaller than they would have got using the same lens on an SLR, and the resulting images appeared narrower, because the corners of the image frame were being cropped off by the new, smaller digital sensors. The camera manufacturers eventually designed a new, full-frame digital sensor, but they still manufacture crop frame DSLR’s too. These tend to be cheaper than a full-frame digital camera. Full-frame DSLR’s now have the same physical size of sensor as a 35mm film camera, but crop sensors are smaller, and just to confuse matters, different manufacturers use different sizes of crop sensors. If you take a photo like the 10 x 8 in image above, and cut it out so that it’s now 8 x 6, this is the difference in field of view and final image size you would get with a full-frame (larger), and a crop sensor (smaller). However, the sensor resolution can also play a part in this, by making the image appear more magnified, so it’s not as straightforward as it sounds! So, What is Crop Factor? Hopefully you’ve managed to stay with me so far, and understand the difference sensor size makes to an image. There’s something else to add to the equation, though, and that’s the crop factor itself. This is what the camera manufacturers came up with to make it easier for photographers to understand what the field of view through a particular lens will look like on a crop sensor camera compared to a full-frame or 35mm camera. Crop factor is basically an equation that calculates the ratio of the sensor size to 35mm or full frame cameras. You take the provided crop factor number, multiply it with the focal length of the lens, and you end up with the equivalent focal length relative to 35mm or full frame DSLR’s. To those of us who hate math, this is a horrifying prospect, but it’s actually not that hard when you have your crop factor number, the focal length of your lens and a calculator. If you want to make life difficult for yourself, you can work out your camera’s crop factor using math and calculating the diagonal of the crop sensor. It’s an equation based on the Pythagorean Theorem, apparently, though that means nothing to me! The top line shows different sized sensors, and the left-hand column down shows different focal lengths used on a 35mm or full-frame camera. As you can see, if you use a 400mm focal length on a 2.0x crop sensor, you will actually get a focal length of 800mm! It’s just not as simple as that, though, and this is where it can get confusing for some photographers. The focal length of a lens never changes, regardless of the camera sensor size. So, when you look at the table above, it may seem like a smaller sensor transforms your lens into one with a longer focal length – it doesn’t. What actually happens is that the smaller sensor crops out a lot of the image that you would get to keep with a full-frame sensor, and it appears magnified. Camera manufacturers quickly learned that there were advantages to producing crop sensors. They meant they could make smaller, more lightweight lenses, allowing for more compact cameras to be produced. DSLR lenses are often made specifically for crop sensor cameras these days, and they often won’t work if you try to use them on a full-frame camera. The different systems have different abbreviations that are in the names of the lenses that are made for crop sensors, to make it easier for buyers to know that they are buying a lens for a crop sensor camera. Here’s a few of the system names from popular lens manufacturers for several different crop sensor camera systems. 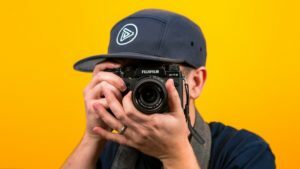 I hope that this article has helped clarify crop factor, especially if you’re looking to buy a new camera. 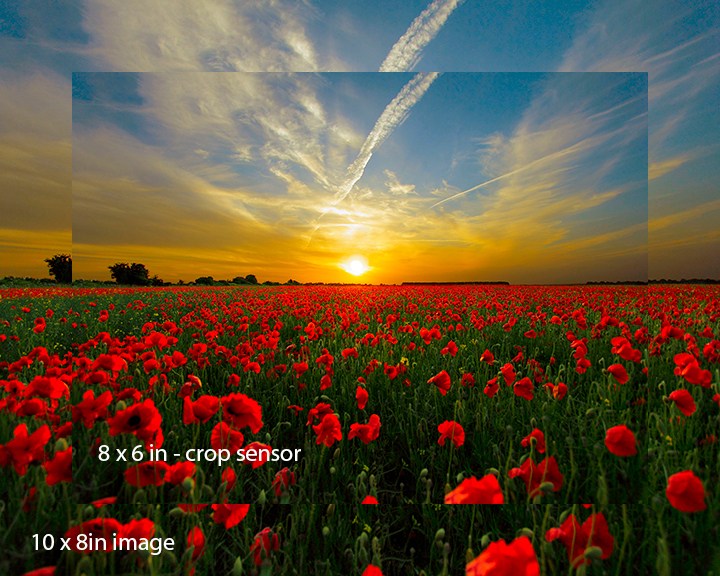 Weight up the pros and cons of full and crop sensors, (and the price) before you buy. For the rest of us, don’t let all this technical stuff distract you from creating good photos. Don’t get caught up in thinking that bigger and more expensive gear means you’ll take better photos. A brilliant image is still a brilliant image, whether it was taken on a full-frame or crop sensor camera – and the reverse is also true!